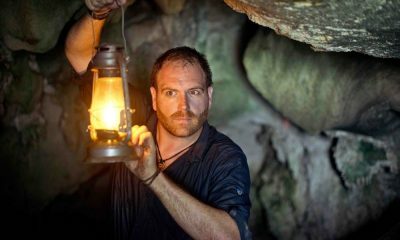 Powered by #1 shows and breakout new hits, Discovery Channel, with 13 series and specials that were #1 in their respective time periods, landed in cable’s Top 10 in 2012 among both total viewers P2+ and P25-54 in Prime Time. 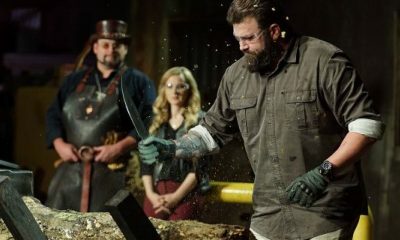 With more series averaging more than one million viewers than any other cable network last year, Discovery continued its ratings victories into 2013 as January became the network’s best month ever among total viewers P2+ and Persons 25-54, delivery, and 1Q13 was the network’s best first quarter ever among M18+ and M25-54. Building on its record breaking momentum, Discovery presents its 2013-2014 Upfront slate highlighted by major live events such as WALLENDA LIVE, significant history and natural history programs HIDDEN KINGDOM and SURVIVAL, bold new series such as BIG BRAIN THEORY: PURE GENIUS and favorite returning series that include DEADLIEST CATCH, GOLD RUSH, AMISH MAFIA, and MOONSHINERS. Awe-inspiring adventures to daring destinations coupled with unprecedented access and a range of compelling characters continues into 2014 as Discovery readies its first-ever scripted mini-series, KLONDIKE, featuring Academy Award nominee Tim Roth, Tim Blake Nelson, Abbie Cornish, Richard Madden, Augustus Prew, Ian Hart and Johnnie Simons. KLONDIKE – Discovery Channel’s first ever scripted mini-series, based on Charlotte Gray’s book Gold Diggers: Striking It Rich in the Klondike. KLONDIKE brings to life the tale about six strangers and their collective fight for survival and wealth in a small, frontier town in the remote Klondike. KLONDIKE is a co-production between Discovery, Entertainment One Television (eOne) and Nomadic Pictures in association with Scott Free Television. WALLENDA LIVE – This special will be one of the most daring and captivating live events in history. Nik Wallenda, known as “The King of the High Wire”, will traverse the majestic Grand Canyon without using a harness. Wallenda will tightrope walk, untethered, higher than he’s ever attempted before at 1,500 feet above the Little Colorado River, a height greater than the Empire State Building. FAST N’ LIVE – FAST N’ LOUD’s Richard Rawlings and Aaron Kaufman put their building skills to the test on last year’s CHOPPER LIVE: THE BUILD OFF, and now the runners up are stepping up, grabbing the reigns and taking over the live build off!! FAST ‘N LIVE will pit build teams against each other in the ultimate high stakes live build off. Some of America’s junkiest cars will be restored into classic rides and fans will once again have the opportunity to vote for their favorite team. SHARK WEEK – This is cable’s longest running programming event and everyone’s favorite summertime ritual. Every year the sharks return to Discovery Channel, slashing through a sea of competition to rack up new ratings successes. Grab your scuba gear and climb into the cage, because it’s time for Great Whites, Hammerheads, Whale Sharks and more! This consistent audience pleaser never fails to deliver as it reveals remarkable new insights into these magnificent and elusive creatures. HIDDEN KINGDOM – There are entire worlds out there that you’ve never seen before; worlds where an extraordinary yet unlikely cast of characters face epic life and death struggles every day. This series reveals the astonishing lives of the tiny animal superheroes in our world we may overlook. In the hidden kingdom, they reign supreme as they are more resourceful, more courageous and even more deadly than the larger animals we know so well. Enter the Hidden Kingdom and you’ll discover a land beyond your imagination. Where a crack in the mud is a canyon and a puddle is as vast as an ocean. PENGUINS: SPY IN THE HUDDLE – From the makers of WINGED PLANET and POLAR BEAR: SPY ON THE ICE comes an innovative look at one of the world’s most beloved birds. The team spent nearly a year in the close company of three penguin species, deploying fifty spy cameras in order to capture the true character and struggles of nature’s most devoted parents. The spy cameras are disguised as rocks, eggs and even penguins themselves – providing an unprecedented glimpse at these lovable and charismatic birds. SURVIVAL – A natural history landmark series with a new experiential approach and distinct visual style. Structured as a serial, for the first time we will follow a cast of star animal characters from episode to episode as they struggle to overcome the challenges of life. The result is the most complete picture ever created of the epic fight to survive. BIG BRAIN THEORY: PURE GENIUS – Who will become America’s next great innovator? Discovery is looking for the next great technological mind that could change the future. While there are countless shows searching for the next great singer, dancer and chef, there is nothing quite like this on television. Each week, seemingly impossible engineering challenges are solved by the 10 contestants. Actor, producer, and civil servant Kal Penn serves as host. BACKYARD OIL – In this high stakes comical rollercoaster ride through the world of wildcat oil drilling, the right equipment, the perfect location and a hint of good luck is the key to making millions – if you know where to sink that drill bit. The series follows the fortunes of the most boot-strappin’ oil men in all of Appalachia as they help others find that sweet, sweet crude. Oil sells for close to $100 a barrel, and there’s a modern day oil boom hitting Kentucky as people race to enlist the services of the BACKYARD OIL men to make them millions. Most think they have oil, few find it, and it’s up to this motley crew to fight until the bid is won and the next great monster oil well is drilled. CUTTER OIL (WT) – A small family run oil company competes against the big corporations in a race for black gold in the heart of Ohio. It’s a fiercely competitive dirty business. When rigs break and land is swiped from underneath them, hundreds of thousands of dollars can be lost in an instant. The Cutter’s will be running on blood, sweat, tears and pure instinct in an all-out struggle to keep the business and this family together. THE HUNTSMEN – Men across the world work jobs in the most extreme terrains while dealing with brutal conditions, unforgiving weather and aggressive wildlife. When predators come too close to camp, these workers have one group they can turn to in their desire to keep everyone involved safe — The Huntsmen. These modern day mountain men, elite outdoorsmen and survivalists, will take on any job, working in the deserts, jungles and highest mountains to do all they can to keep human/animal interactions at a minimum. NAKED AND AFRAID – In Discovery’s new survival series, a new pair of strangers each episode will find themselves stranded in some of the world’s harshest environments with no food, no water, no tools…and no clothes. As their extreme survival skills are put to the test for 21 days, each couple must battle the elements, each other, and their own inner weakness to triumph over the terrain and their predicament. NAKED CASTAWAY – Ed Stafford, the first person ever to walk the length of the Amazon River, undertakes an extreme physical and mental survival challenge as he lands naked and alone on the desert island of Olorua near Fiji. He has only his brain, bare hands and a camera to keep him alive. He’ll take no food, water, clothes, knives or tools, so from the moment he arrives he’s on a race to stay alive. 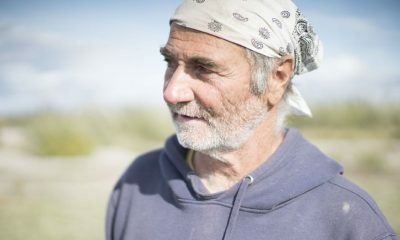 As a man can only last three days without water and three weeks without food, Ed will attempt to survive on the island for 60 days. ROCK RAIDERS – In the gem world, “Texas” Don Kogen is a legend. Don and his crew travel the secluded corners of the world on the hunt for the rarest and most expensive stones known to man, for the chance to make (or lose) millions of dollars all the while trying to stay one step ahead of his competition. DEADLIEST CATCH – It’s mutiny on the Bering Sea. While the veteran Captains of the iconic crabbing fleet prep for another dramatic danger packed season, the young guns on board seek opportunity to make a name for themselves. Breaking onto the scene this year are two new boats: the Saga with former Rambling Rose Skipper Elliot Neese at the helm, and the Cape Caution, run by former Kodiak Captain Wild Bill Wichrowski. On the Northwestern, deck boss Edgar Hansen’s ongoing desire to run the boat causes Sig to set him straight. Every ship in the fleet is looking to make a comeback in the king crab season, but it won’t be easy for any of them. GOLD RUSH – Friday night’s number one show for men in all of television features down-on-their-luck men in the face of an economic meltdown who risk everything to strike it rich mining for gold. Inspired by his father Jack, Todd Hoffman leads his crew of miners hoping that all of their hard work results in a major payday. They make mistakes, learn lessons along the way, overcome enormous obstacles, and do their best to persevere on their rocky road to success. 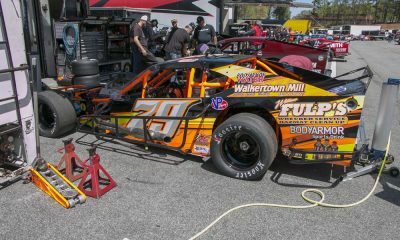 Other crew leaders include “Dakota” Fred Hurt and 18 year old gold mining veteran Parker Schnabel. FAST N’ LOUD – These guys cruise for the classics. Meet self-described “petrol-sexual” motorhead Richard Rawlings and mechanical prodigy Aaron Kaufman as they search far-flung corners of the country for forgotten and derelict classic cars to restore to tip top shape at their Gas Monkey Garage. Heaps of rust are transformed into gleaming road warriors and sold to the top bidder. AMISH MAFIA – Untrusting of outside law enforcement, some Amish in Lancaster County, PA have for many years regularly turned to a small organized group of men for protection and justice. This series provides the first-ever look at the small and tightly-knit group of men who protect and maintain peace and order within the Amish community in Lancaster. Lebanon Levi is the Amish insider who holds the power and serves as protector of the community at a price. He exists above the law and occupies the role of police, judge and jury. Levi’s team engages in a life outside of Amish and non-Amish community codes as he quietly exerts his influence and control. MOONSHINERS –White Lightning, Bathtub Gin, Mountain Dew, or just plain Moonshine – it has many names – but what remains true is it’s made in secret and it’s illegal. A Moonshiner can make more than $100,000 a year, tax free, but they have a reputation for being iniquitous and corrupt. 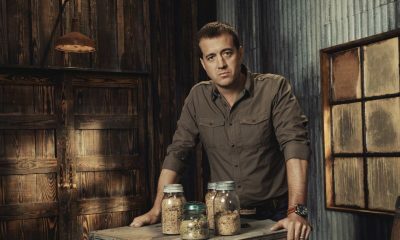 This hit series follows those who take serious precautions to remain safe as they practice the art of making moonshine, and the law enforcement tasked with capturing them. JUNGLE GOLD – Determined gold miners from around the world seek their fortunes in the dangerous and gold-rich jungles of Ghana, Africa’s second largest gold producing country. With little money and everything on the line, rookie American gold miners George Wright and Scott Lomu beg and borrow anything they can to succeed after losing it all in the 2008 U.S. real estate crash. After securing a loan from an investor, the pressure is on from the very start to find gold to pay back this loan, as well as their other debts. Against stacked odds, their stakes have never been higher. BERING SEA GOLD – Nome, Alaska: Every summer, as the glacial ice melts around this frozen and isolated port, a handful of fortune seekers hunt for gold in the most unlikely of places: the bottom of the Bering Sea. Meet the salty and eccentric characters who spend hours on the rocky, frigid ocean floor, hunting gold from custom built, sometimes barely seaworthy rigs. From the desperate to the diabolical, the Nome gold fleet takes on all comers, the brutal Bering Sea does the rest. MYTHBUSTERS – Quirky special effects experts Jamie Hyneman and Adam Savage, with Kari Byron, Grant Imahara and Tory Belleci, continue their mad scientific quest to discover the truth behind popular myths and urban legends. This mentally tantalizing series, entering its 10th season, takes on the myths and uses modern-day science to show what’s real and what’s fiction. 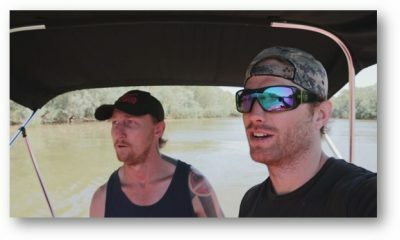 DUAL SURVIVAL – Meet the Odd Couple of Survival, Cody Lundin and Joe Teti, two trained and expert survivalists who enter the most forbidding terrains in the world where they must overcome all obstacles in order to survive using intuitive tactics and finely tuned skills. Finding food, water and shelter are nothing compared to their toughest challenge of all: getting along with one another. ALASKA: THE LAST FRONTIER – Welcome to the Kilcher family and their isolated community outside Homer, Alaska. Over 80 years ago, Yule Kilcher fled Switzerland in search of a free and simple life. He found that life outside of Homer, Alaska where three generations of the Kilcher family still live today. The Kilcher family resides on their homestead consisting of over 640 acres of Alaskan wilderness. This “simple life,” however, is far from simple. Living off the grid without running water, they must hunt, gather, garden and raise livestock in order to provide enough food to ensure their family’s survival.